SACRAMENTO (KTXL) -- It's been roughly two and a half years since police and protesters faced off in the streets of Ferguson, Missouri, following the death of 18-year-old Michael Brown at the hands of officer Darren Wilson. Now police and activists are at odds again. This time over an artistic interpretation of those fiery demonstrations in 2014. 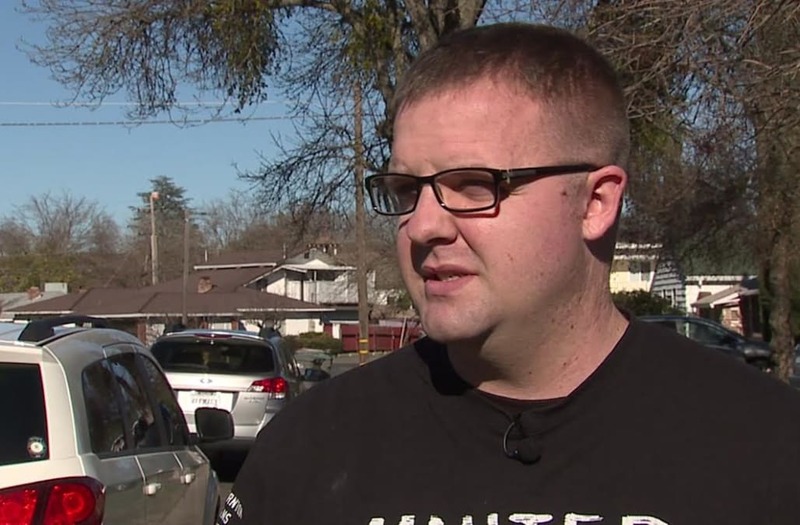 "It's not art, it's defamation," said Jacob Shockley, founder of Back the Badge Sacramento. The painting is now on display at the U.S. Capitol. It depicts police as animals pointing guns in front of a crowd holding signs that say "history" and "racism kills." "If you want to say it's freedom of speech, that's fine, but don't put it at the U.S. Capitol, the Capitol should be considered neutral ground," said Shockley. This week, five law enforcement associations in California and New York sent a letter to House Speaker Paul Ryan, urging him to take the piece down. They call the piece "reprehensible and repugnant." They add that it perpetuates a false narrative about police and undermines officer safety. "If the police are unhappy about that depiction, and their depiction of being murderers, then they should be doing more to clean up their own house," said Jamier Sale, organizer of the Answer Coalition. Sale participated in the Ferguson demonstrations and has helped lead many Black Lives Matter protests in Sacramento. He hopes the painting continues a conversation about police brutality. "There's a lot of people who feel that the police do act in an animalistic way, that they are acting, for lack of a better word, like pigs," Sale said. Shockley says officers are human; some make mistakes, but still Americans should respect the sacrifices they make to protect their communities. "These guys are heroes, men and women, they put their life on the line, and to portray them as pigs ... that's horrible," Shockley said. Black Lives Matter Sacramento sent FOX40 a statement about the controversy. "Once law enforcement starts coming into our communities acting like humans, and not monsters, they will not have to worry about these kinds of interpretations of the police," said Tanya Faison. The letter sent to Paul Ryan emphasizes 140 law enforcement officers were killed on the job in 2016.